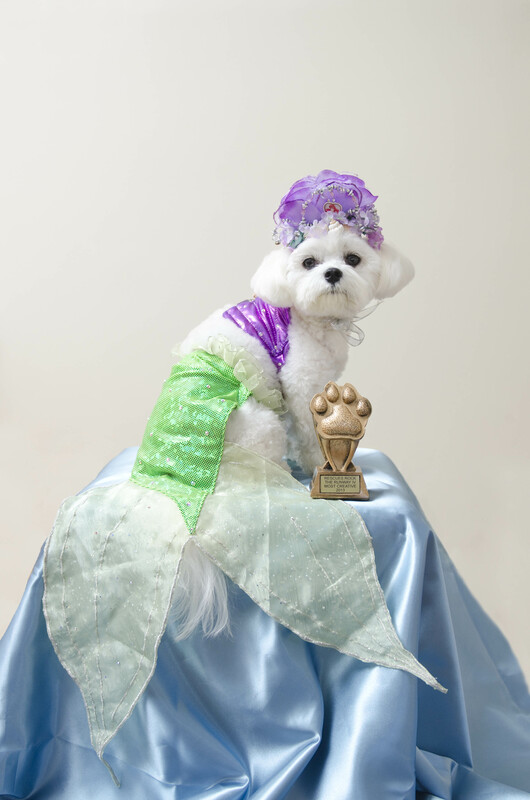 Bella Mia wins first place for most creative costume at the 2013 Yorkie911 Rescue benefit. Mermaid costume by Catherine Mefford. Bella Mia with her first place Trophy.